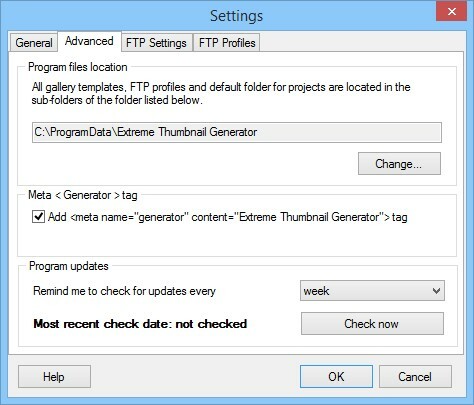 we did take the Extreme Thumbnail Generator 1.x register version recently but in the header section we get <meta name="generator" content="Extreme Thumbnail Generator"> . We don't want to get this message, so please let us know how to fix the problem. Re: How To Remove the Meta Tag? Go to the program settings (menu command Tools->Settings...) and select the "Advanced" tab. Now clear the [Add <meta name="generator" content="Extreme Thumbnail Generator" ] box and you're done.